At Zeigler Maserati of Schaumburg in Schaumburg, IL we pride ourselves in delivering excellent customer service and an expansive selection of new Maserati models to match. 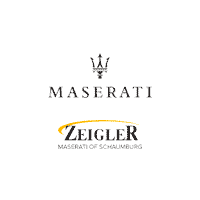 Zeigler Maserati of Schaumburg has something for everyone—from new Maserati Ghibli luxury sport sedans and Maserati GranTurismo convertibles, to a large inventory of quality pre-owned luxury vehicles. Give us a call or visit our Schaumburg, IL auto dealership and our expert sales staff will get you behind the wheel of your dream car today! Take advantage of our premier car service center and fully stocked auto parts department, and keep your luxury vehicle performing at its best. Looking for ways to maintain your car and save? Check out our available service specials and parts deals, and keep costs low while taking care of your vehicle. To find out more or schedule your next maintenance appointment call our car service professionals at our auto service center. At Zeigler Maserati of Schaumburg, our financing center provides a variety of auto financing options to fit your budget and lifestyle. Whether you want to explore the benefits of leasing a new Maserati car, or simply discover the best car payment option for your personal situation, we’re here to help. To get started, fill out our online auto financing application or get in contact with our Schaumburg, IL car finance department and discover what we can do for you!